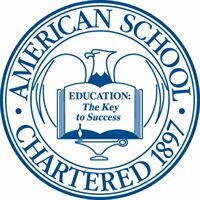 The American School offers outstanding value for homeschoolers wishing to earn an accredited high school diploma. Students work at their own pace in the General High School or College Preparatory program, both of which contain 18 units of credit, including electives. The American School also offers individual courses for credit recovery and enrichment through its Independent Study program. Since its founding in 1897, the American School has helped more than 3 million students earn their diplomas.